Great taste, natural goodness and gluten free! Products include Chicken, Black Forest Ham, Honey Maple Ham, Pepperoni, Salami and Turkey. 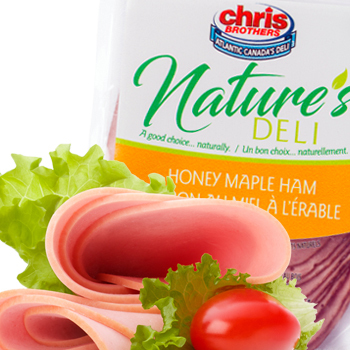 Chris Brothers shaved deli meats are slow cooked and have great flavour. Naturally wood smoked. Gluten free! Products include Roast Beef, Chicken, Black Forest Ham, Pastrami, Smoked Meat, and Turkey. All our deli products are gluten free! Excellent flavour and quality that our customers love. Enjoy a unique selection of only the highest quality meat made right here in Atlantic Canada. 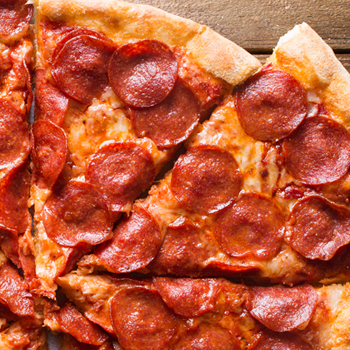 Our pepperoni has become a household favourite thoughout Atlantic Canada. Great taste. Fantastic quality. Awesome selection and gluten free! Chris Brothers produce an authentic all beef donair meat. Traditional recipe. Excellent taste. Gluten free. 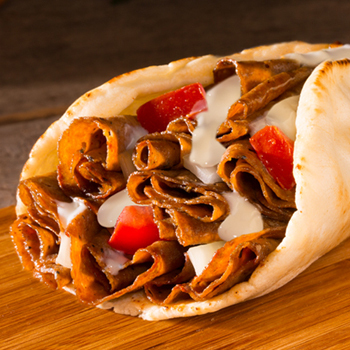 Products include Authentic All Beef Donair Meat, Donair Loafs and Cones. Our Donair Cones are Halal. 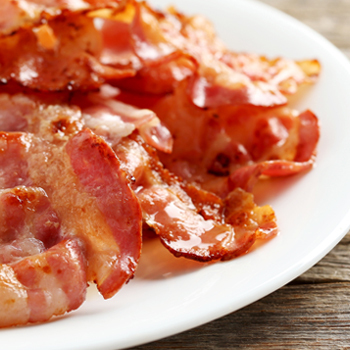 Our Classic Chris Bacon is naturally hardwood smoked. Gluten Free, No Sugar added, No Phosphates, No MSG. 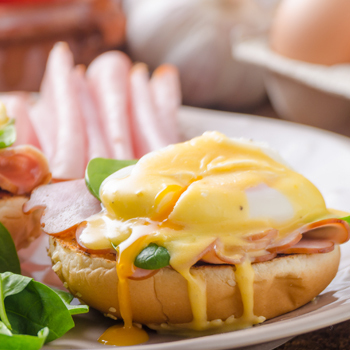 Perfect for so much more than just breakfast, you’ll love the flavour and aroma of this fantastic Canadian bacon! Delicious and ready to serve! 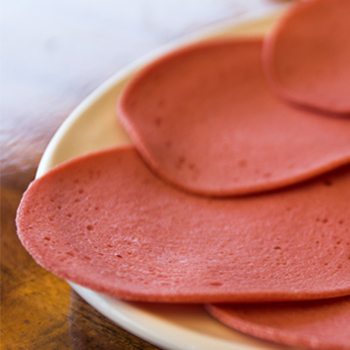 Our bologna is a traditional favourite, and is gluten free. 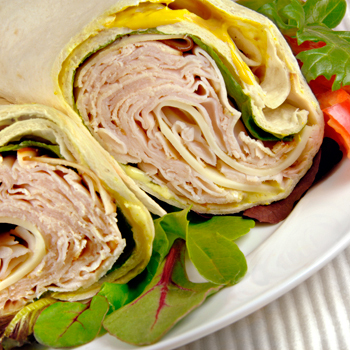 Products include Atlantic Style Bologna and Country Style Bologna, in thin and thick slices. Also available in a Lite and Less Fat Sandwich Valu Pak. 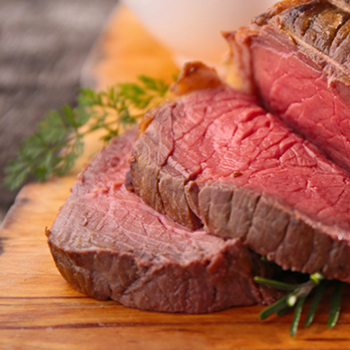 Our beef products are of the best quality, just what Atlantic Canadians have come to expect. Premium, natural goodness and gluten free! 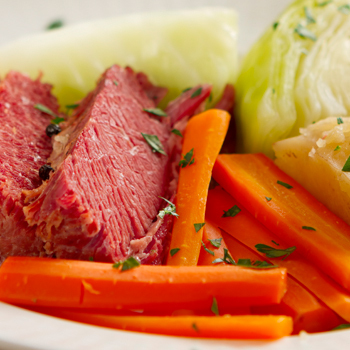 Products include our famous Beef Brisket and various other beef products for food service. Cured brined meats made by Chris Brothers the old fashion way, using tried and true recipes. Chris Brothers partner with Atlantic Meats to deliver quality Old World meat products to Atlantic Canada. Products include Pork Riblets, Corned Beef, Boneless Roasts and Pork Fat Backs, all gluten free. We have a variety of Premium Gourmet Deli Mustards including our traditional Original Yellow Mustard. What’s a great sandwich without a great mustard! Chris Brothers Honey Mustard Dipping Sauce is available in regular and Hot ’n Sweet. 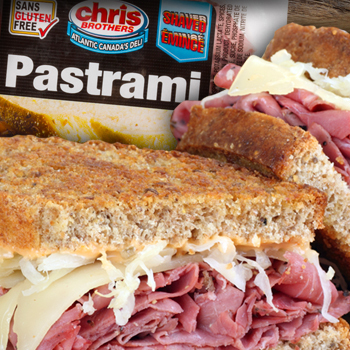 Chris Brothers deli products are gluten free. Visit our Products page to see our full selection of products for Retail and Food Service.